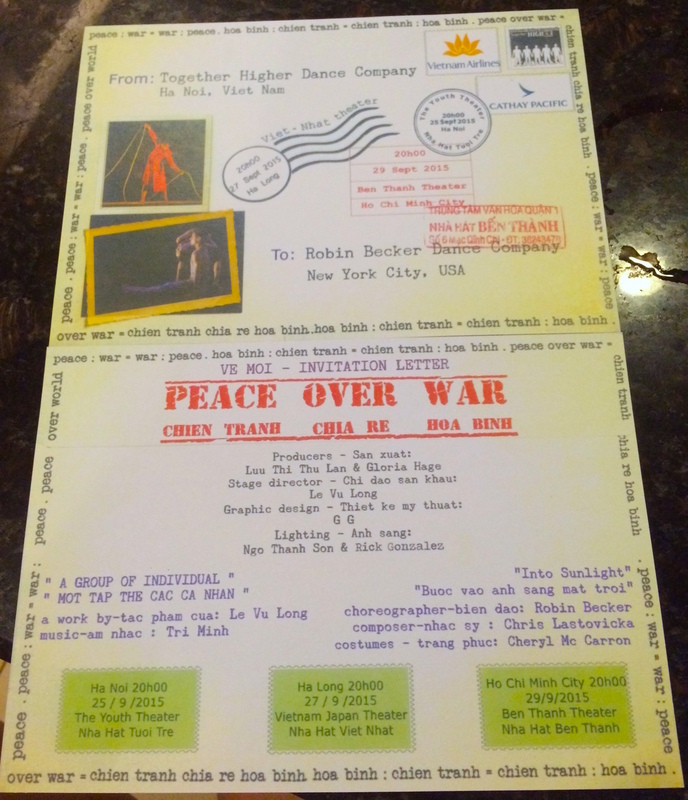 Together Higher Dance and Robin Becker had successfully brought their work of art to the audiences in Hanoi, Hai Phong and Ho Chi Minh City in September 2015. 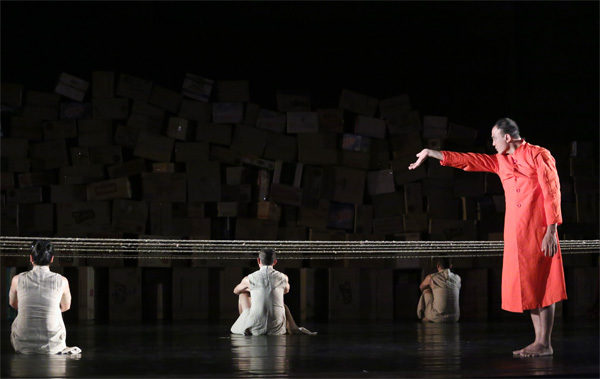 Peace Over War included two amazing pieces of contemporary dance for the same topic. Same topic but different aspects and styles. “A group of individuals” of Together Higher Dance is an intense show with strong movements of the dancers and amplified sounds and music. That was a long show, especially for dancers who had no break for the entire show – they danced dedicatedly and passionately. You would be surprised when knowing that dancers of Together Higher Dance are deaf. They dance by their feelings, following the rhythms and the light. What seems to be misfortune for them turns them special and excellent. “Into Sunlight” of Robin Becker is broken to many sections that make it easier to feel the piece. We felt the anger of the public against the war. We felt one’s pain when seeing their teammate die, when seeing their beloved ones die, because of the war. The stage was organized simple but left behind heart-taking images and set up. The show would not happen without the generous support of American donors. That is to show how much the war has haunted their thoughts, as well as how much they want to bring peaceful pieces of art out there to the world. Just because America has its presence in several wars, it doesn’t mean that all American people are combative. The show in Ho Chi Minh City took place in Ben Thanh theatre. Due to the economic constraint maybe, a space inside the area is rent to a wedding restaurant. During the show, at every silent moment for the audiences to feel the piece, I heard the sound of happy V-pop songs to congratulate the happy couple. The theater could have done better to maintain the sound proof quality, to properly attribute respect to the efforts put in the pieces of producers and artists. I am so happy to see more and more shows like this coming and happening in Vietnam. I am happy to have more opportunities to enjoy variety of culture and art without the need to go overseas. And I do hope that we will be more and better prepared to host such amazing shows to come.